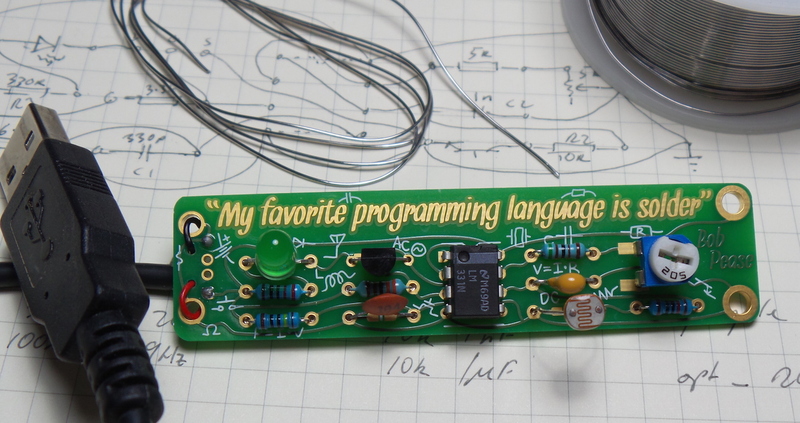 LEAP#256: dialing back the #BoldportClub Pease #1 to a low-frequency light-dependent blinky. 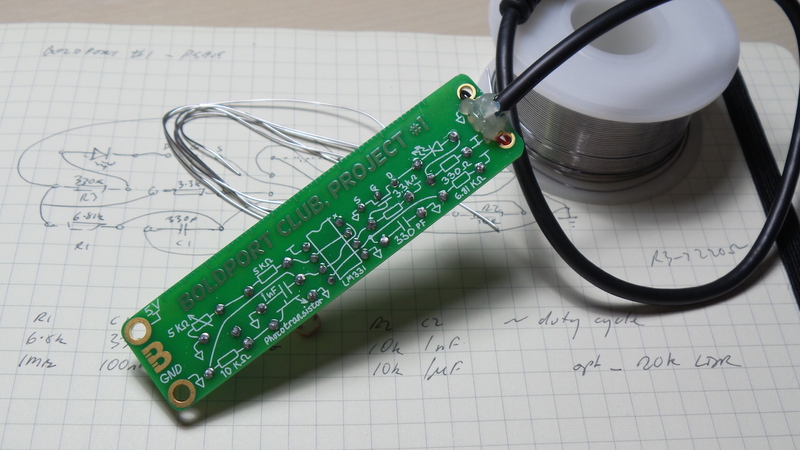 dialing back the #BoldportClub Pease #1 to a low-frequency light-dependent blinky. 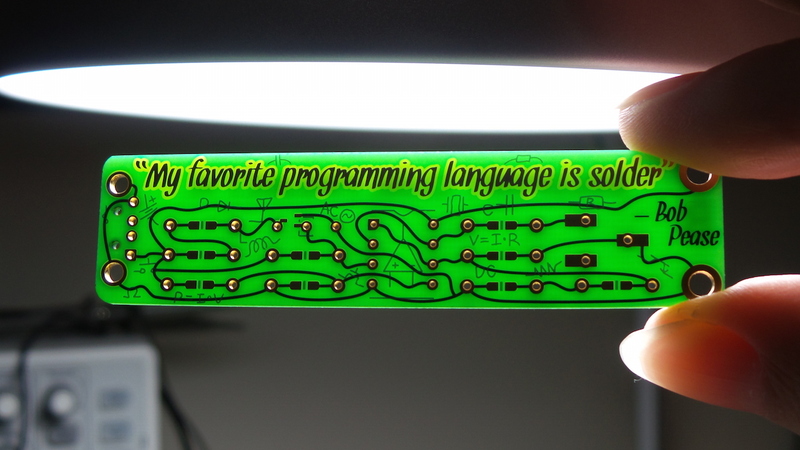 I joined the Boldport Club rather late, and missed out on the original Pease kit (now out of stock). 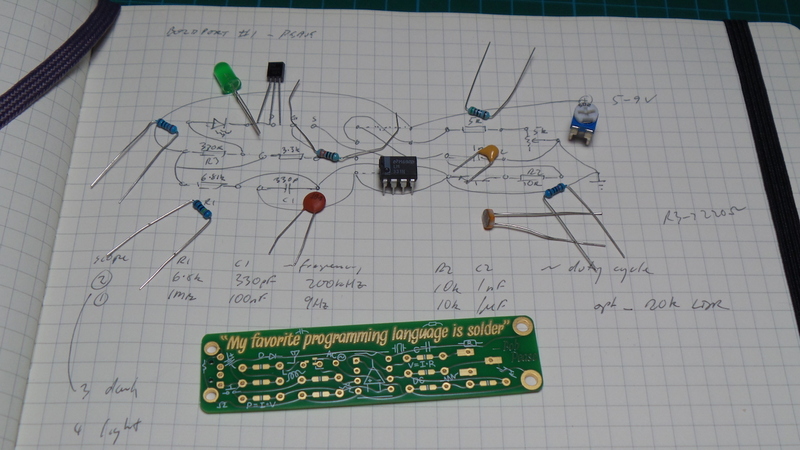 But I did manage to snaffle the PCB in sale of “Just Less the Perfect” boards. My full build notes are in the LittleArduinoProjects repo. Since I was kit-less, I decided to experiment a bit. 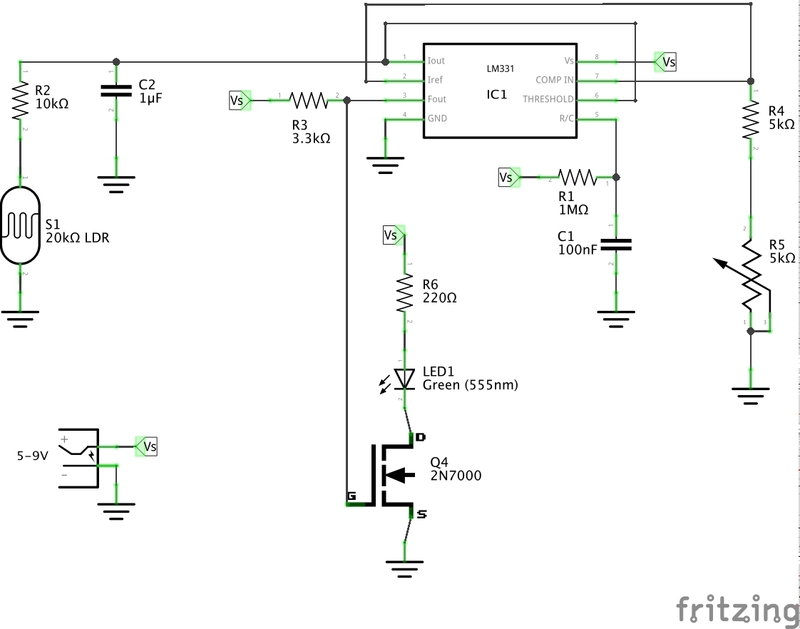 Firstly, I’m using a 20kΩ LDR for input rather than a phototransistor. 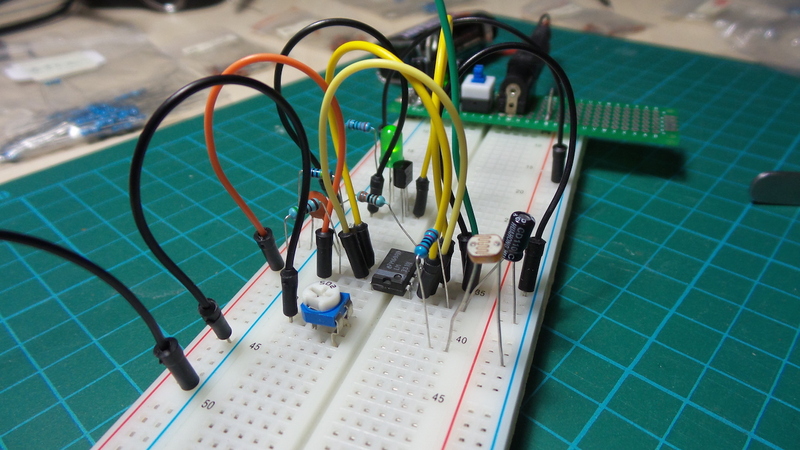 Secondly, after testing the original circuit on a breadboard, I decided to slow down the frequency.